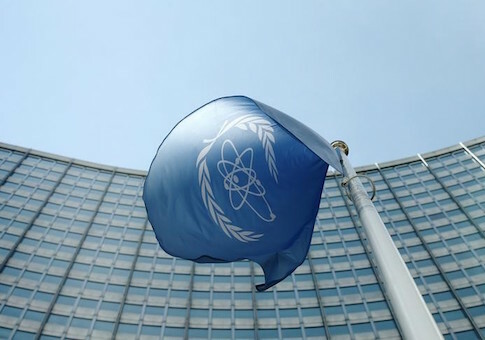 UNITED NATIONS/PARIS (Reuters) – Several nuclear security experts are urging the United Nations nuclear watchdog and world powers to release details of how a sensitive Iranian military site will be inspected as part of a landmark nuclear deal reached in July. The experts, with long experience in international weapons inspections, said the failure to disclose the details was damaging the credibility of the International Atomic Energy Agency (IAEA), a view that is rejected by the agency itself, the United States government and another prominent non-proliferation expert. The confidential plan for the Parchin site has led to differing reports on how it will be carried out, with some critics of the U.S. administration saying Iran had been given too much leeway to conduct its own inspections, including taking samples. The inspections are needed to resolve questions about whether Iran did research in the past at Parchin related to building a nuclear weapon. David Albright, head of the Institute for Science and International Security in Washington, expressed unease about the lack of public details on the arrangement. "(Details) should be released because it's undermining the IAEA's credibility," Albright said. "Whatever the outcome of the sampling, the secrecy makes it harder to determine whether it's a credible sampling approach." Former IAEA deputy director-general Olli Heinonen, now at Harvard University, said the secrecy could not be justified. "This is a very unusual IAEA verification approach, which has no reason to be confidential unless a very special reason – proprietary, economic or security – calls for it," he said. The IAEA has said it has a legal obligation to keep details of the arrangement confidential, but insists it is technically sound and will ensure the samples are not compromised. One prominent non-proliferation expert, Jeffrey Lewis of the Monterey Institute of International Studies and founder of the ArmsControlWonk.com blog, agreed. Releasing the details under pressure would undermine countries' trust in the agency, he said. "This would severely compromise the ability of the IAEA to carry out its mission around the world," he said. U.S. Republicans, who tried to sink the July 14 Iran nuclear agreement in Congress, seized on a media report last month that Iran would be able to use its own inspectors to collect samples at Parchin without the IAEA present. The Associated Press report said the arrangement suggested the IAEA would be not be present at the site during the inspections. Iranian officials have also said that international experts would not be allowed in. Four diplomats familiar with the deal told Reuters that U.N. inspectors would be present at Parchin to oversee the inspections. In the unusual arrangement struck in July, the samples would be taken by Iranian technicians while IAEA experts present at Parchin observe and oversee the process, Western diplomats told Reuters. The diplomats, who have knowledge of the deal, said that while the IAEA inspectors will not be next to the Iranian technicians when they take samples, they will be at Parchin overseeing the process. Cameras will record the process. Iran cannot receive sanctions relief promised under the nuclear deal until the IAEA is satisfied it has answered outstanding questions about the so-called "possible military dimensions" of past Iranian nuclear research. Tehran says its nuclear program is peaceful and that it did not conduct atomic weapons research. After the AP report, IAEA chief Yukiya Amano rejected as a "misrepresentation" suggestions that Iran would inspect Parchin on the agency's behalf. In response to Reuters' questions, the AP said its story had no factual errors and that it stood by the article, which was based on what it said was an authentic draft document and additional reporting. Reuters has not been able to verify the draft text. IAEA access to Parchin, a facility the agency has not visited in a decade, was one of the most sensitive issues during the negotiations that led to the nuclear deal. IAEA inspectors usually take samples themselves when searching for trace nuclear particles that could be a sign of undeclared atomic work. But as Parchin is a military site the agency had to negotiate special arrangements to get in, diplomats said. Iran is unlikely to agree to release the details, diplomats say, because it would show it has opened up Parchin to foreign experts despite public pronouncements to the contrary.